If you haven’t seen this Instagram account by the fabulous Jameela Jamil, you need to. Having taken offence (who wouldn’t?) to a post claiming the various weights of Kardashian members, Jameela decided to document exactly what she weighs – in terms of what matters to her life. These values – caring relationships, financial independence, a love for her own body – sparked a beautiful, positive wave of other women leaping on board and combatting the endless stream of negative media we’re fed about our bodies. Her message is to focus less on the number on the scales and more on the real stuff that make us who we are. 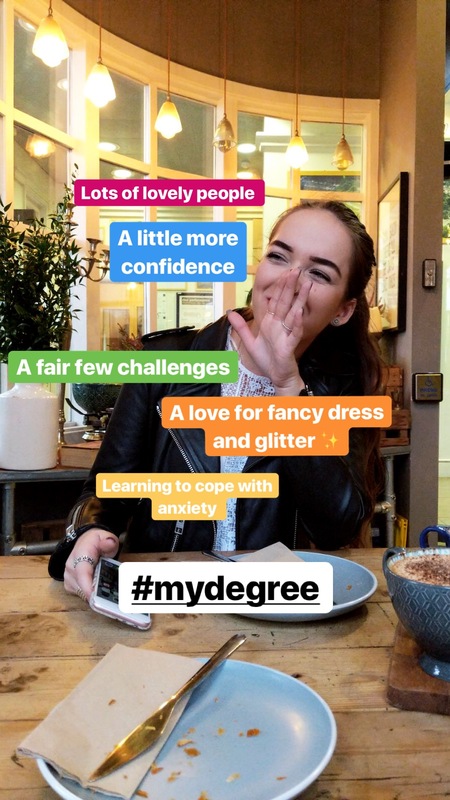 What does this brilliant approach to body confidence have to do with final year? It led me to consider, as I stomped home towards an ever-growing stack of books waiting for me, what I have really gained from these past 4 years. How much is your degree worth to you? And, on that dreaded results day this summer, what will I be grateful for, aside from the degree classification as my end result? Alright, I’ll admit it – perhaps this will be more than a tad soppy. I’m a Pisces, who can blame me? I’ve met people I now couldn’t lose from my life if I tried (not that I’d ever want to). My housemates, course friends keeping me going, the people who shared the bizarre adventure of life à Paris – I wouldn’t change the lot of you. This isn’t a post to name all those people, because if you don’t know I like you by now I’m probably doing something wrong, but it’s an official appreciation of everyone who makes each day on campus that little bit sunnier. This extends to the friends I had left at home when I was a fresh-faced first year. I don’t know how I would have survived some of the more challenging experiences – moving abroad, heart conditions (not mine), heartbreak (sadly mine) – without the unwavering love from my nearest and dearest. So, thank you for keeping me somewhat sane and always reading my blog posts, regardless of whether you laugh or cry. I guess it’s true – sometimes you start to grow up a little and inevitably, grow apart from some friends – but I can confirm that so far, I’m very happy with my lot. Let’s be honest; university was a much bigger challenge than I anticipated. It has also pushed me in ways I didn’t necessarily welcome at the time. Of course, having just turned 22 and aiming to live up to the wisdom of my name, I’m now utterly grateful for those sorts of pushes in the right direction. It might not seem like a huge deal on the outside but little parts of everyday academia have helped me more than I thought possible. Example: public speaking. Really not a fan, despite how much I like to talk. Suddenly, the pressure of everyone paying attention to me and my (obviously beautiful) PowerPoint slides and I become a stammering, sweaty mess. And yet, most modules include a presentation in class. This small requirement used to terrify me in my first year. Up all night practicing my slides only to dissolve into said stammering, sweaty mess in front of my small seminar group. Now? After 4 years, I’ve got better. It’s far from my favourite activity but it’s fair to say this skill is developing nicely. I’d still probably name it as my ‘biggest weakness’ in an interview but I can now present clearly, achieve that First class mark and smile without feeling the need to jump into the nearest pool to calm down. Example? I recently had a dissertation meeting with my supervisor. Despite being slightly intimidated by J’s knowledge, I was surprised to discover that there’s things about (a very specific vein of) Art History that I, the mere undergrad, was explaining to him. Critics and theories that he hadn’t come across during his academic life. He’s a very clever and articulate man and yet his response to my dissertation subject is one of fascination. This lack of knowledge in a specific section excites him – because now he can learn about it too. An approach I need to take more often; not-knowing can be fun, challenging and at the very least, it’s inevitable in life. My degree has helped me find my voice – and helped me to see that I’m not always right. My degree has meant an awful lot of time in my overdraft and a deep love for ‘reduced to clear’ cream cakes. My degree has been four years of people at home (Hertfordshire) constantly asking how life is ‘up North’ and actual Northern friends scoffing and ridiculing the mere thought of Birmingham being considered Northern. My degree has meant a constant defence of what History of Art actually is and why leaning a language is important even when “everyone just speaks English anyway?”. My degree has been countless nights of fancy dress and glitter face-paint (who doesn’t love glitter?!). My degree has meant being part of an *award winning* society committee and learning that event management is a little harder than it looks. 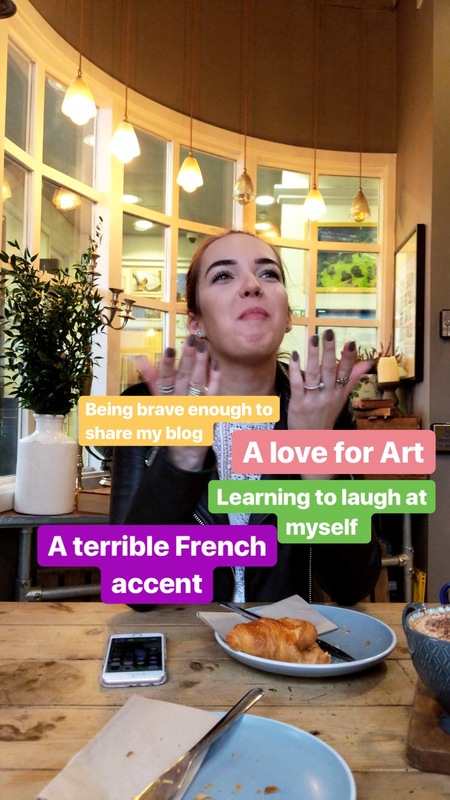 My degree has given me the confidence (or perhaps the support network) to start something like this blog – where I generally just moan about life – and then appreciate the feedback and criticism. My degree has meant learning how to cope with my anxiety and how to ask for help when I need it. My degree has also given me the space and time to start to write. My degree has given me (or simply confirmed?) an undying love for brunch. I felt so ready, aged 18, to leave the sleepy village and thrive in Britain’s second city. And then, aged 20, I felt so totally not ready to move to Paris. Somewhere along the way, my confidence and enthusiasm took a huge dip. I guess, ultimately, I’m grateful for the breathing space these past 4 years have given me. I’ve been allowed to challenge myself, make mistakes and grow up along the way. I’m now home for Easter revision in a final desperate push before my summer exams. 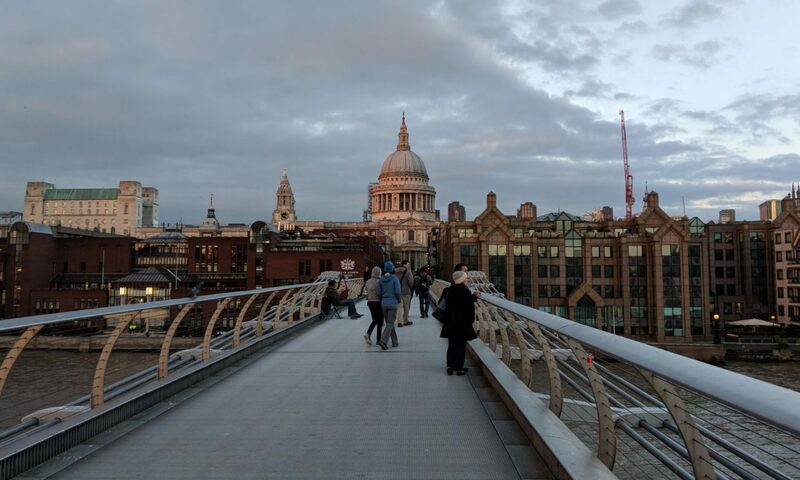 Perhaps this post makes no sense – I’ve spent the past few days in a dissertation haze, only stopping to walk the dog, and Labradors aren’t the best at giving academic writing support. I know that on the dreaded results day, I’ll be an absolute bloody nightmare. The final result does matter to me and it probably always will. But, I’m making the effort between now and that day to understand what else the past 4 years have meant to me. As Jameela explains, it’s not only about the final number – it’s about seeing the bigger picture of your life. I’m pretty sure whatever the final classification, regardless of the debt, the rest of my degree has been priceless. So well thought out . Very insightful . Rings very true with somebody who did a degree a long time ago. It’s not the final mark but the friends and experiences which help you cope with what life has in store for you .